BOSTON -- Lawmakers from North Central Massachusetts are pressing the case for a change in state law that would make it easier for communities to set up municipal electric companies to compete with the likes of National Grid and Unitil. 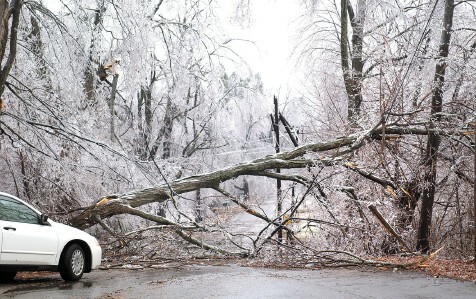 Some towns, such as Lunenburg, are already giving serious consideration to creating a municipal light company after a severe ice storm in December 2008 exposed weaknesses in its current provider, Unitil Corp.
Bills filed in both the House and Senate have been co-sponsored by 47 legislators and endorsed by more than 120 municipalities and organizations. The legislation would update laws written more than 100 years ago. "This is some leverage we can hold over a company like Unitil should a city like mine decide they want to go to a muni," said Rep. Stephen DiNatale, D-Fitchburg. DiNatale testified last week alongside Reps. Jennifer Benson, D-Lunenburg, and Robert Rice, D-Gardner, before the Joint Committee on Telecommunications and Energy. Sen. Jennifer Flanagan, D-Leominster, has also been a strong proponent of the bills. Rice argued that making it easier to establish municipal utilities will force investor-owned utilities like National Grid or Unitil to provide better service at a lower cost. 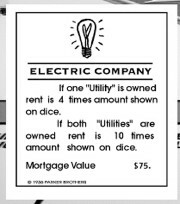 Current state law does create a process to set up a municipal electric company, but none has been formed in Massachusetts since 1926. Under the current statute, communities that want to provide electricity on their own must enter into negotiations with the current provider to buy its equipment at a fair market price. If an agreement cannot be reached, the municipality is free to create its own competing system. Advocates testified that it is unreasonable to think a city or town today could afford to build a new distribution system from scratch, essentially allowing investor-owned companies to block a move toward municipal control. The proposed changes to the law would allow the Department of Public Utilities to establish a fair market rate and force the sale of the property to the city or town. Community officials hoping for swift action on the law change, however, got the caution flag last week from Sen. Michael Morrissey, D-Quincy, who said he is inclined to wait for the Department of Energy Resources to complete its study of how to value property such as poles, wires and other equipment. Morrissey serves as co-chairman of the committee handling the bill with Rep. Barry Finegold, D-Andover. He also expressed some reservation about the need to change the law, challenging advocates to explain to him why the current system prevents municipalities from setting up their own electric companies. "You're going to have to tell us why the current statute doesn't work," Morrissey said. Finegold also challenged those in support of the law change to prove that municipal electric companies will charge lower rates than investor-owned utilities. Research provided by the sponsor of the bill in the House -- Rep. Jay Kaufman, D-Lexington -- suggested NStar, Unitil and National Grid charged, respectively, 51 percent, 53 percent and 25 percent more than municipals for a 500-kWh-per-month bill in January through June 2009. Furthermore, municipal electric companies have better customer service and outage response times because they have better employee-to-customer ratios than the larger companies, supporters said. Ashby Selectman Joe Casey acknowledged that creating a municipal electric company in his town would still be difficult with the changes, but would at least make it more realistic to consider joining with neighboring communities. DiNatale said the threat alone of taking customers away from National Grid or Unitil would force the investor-owned utilities to improve service and lower rates.